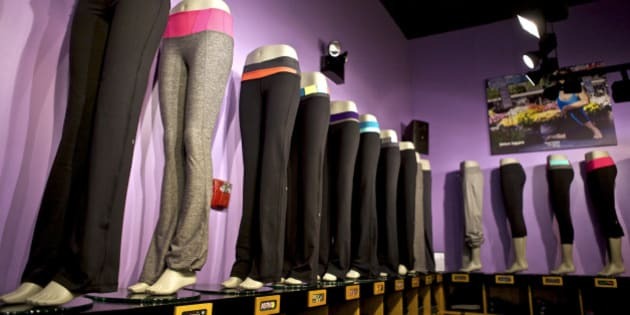 VANCOUVER - Lulelemon Athletica Inc. reports a lower second-quarter profit of $48.7 million as the yoga wear retailer continues its efforts to recover from stumbles that have hurt its reputation. The company earned 33 cents per diluted share in the quarter, compared with $56.4 million, or 39 cents per share, in the same quarter of 2013. Revenue for the quarter was up 13 per cent to $390.7 million from $344.5 million year-over-year. Total comparable sales, which includes comparable store sales and direct to consumer, remained flat for the second quarter, Lululemon (Nasdaq:LULU) said. "We are pleased to be on track with the implementation of our strategic road map, and are starting to see the results of our work across product, brand and international expansion." CEO Laurent Potdevin said in a news release. "While there is still much to be done, we are making meaningful progress on building a scalable foundation for our next phase of global growth...," he said. Potdevin was hired in late 2013 after problems related to a style of yoga pants that had fabric which was criticized as being too sheer. Company founder Chip Wilson had said in a TV interview in November 2013 November that some women's bodies didn't suit Lululemon's tight-fitting yoga paints and he later issued a video apology Lululemon's YouTube video channel. In June, Wilson was involved in a boardroom controversy when he voted against the re-election of two of the company's directors. The company faces increasing competition from retailers selling yoga wear.